President David, accompanied by Rotarians Loraine Bant and Chris Hedges, presented the St. Nicholas-at-Wade Playgroup leader, Barbara Marsh, with a cheque for £350. The Playgroup will purchase a sand-pit to place on their excellent "astroturf" playing field. 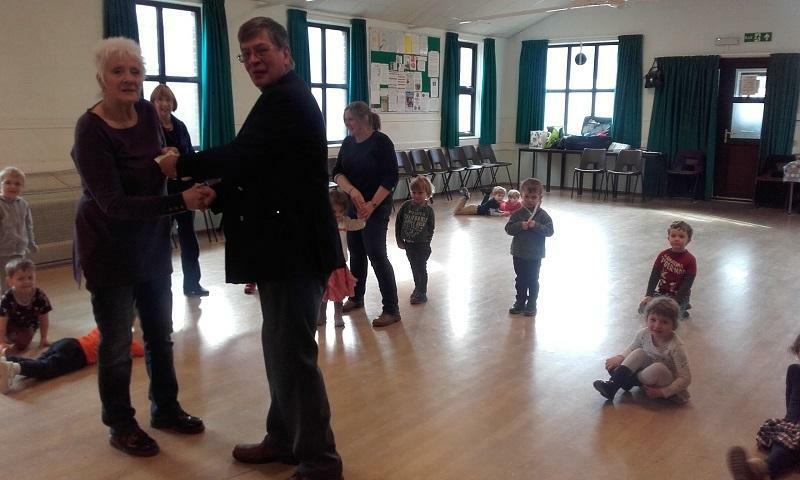 The funds were raised at a "Big Breakfast" in Kearns Hall, Minnis Bay, at which visitors were able to rasie funds for the playgroup in the most delicious way - eating a "Full English".